Vibrant health is more than not just being sick. It’s about having optimum physical, mental, emotional and spiritual health. It’s getting out of bed with a spring in your step, not needing to reach for that cup of coffee to get you going, feeling enthusiastic and energetic throughout the day, enjoying exercising, having good skin and clear eyes, feeling positive about your life, having fulfilling relationships, sleeping deeply and waking refreshed, feeling satisfied with your life, lack of pain or discomfort, an awareness of your body and its needs and maintaining that level of wellbeing throughout your life. What we consider to be normal signs of aging are often signs that we’re not in optimum health. This scenario may seem totally unrealistic to you, but don’t give up. There are many ways we can increase our levels of health, energy and wellbeing. One of the foundations of good health is the right diet – food that’s right for your metabolism, chosen from real foods that haven’t been stripped of their goodness. 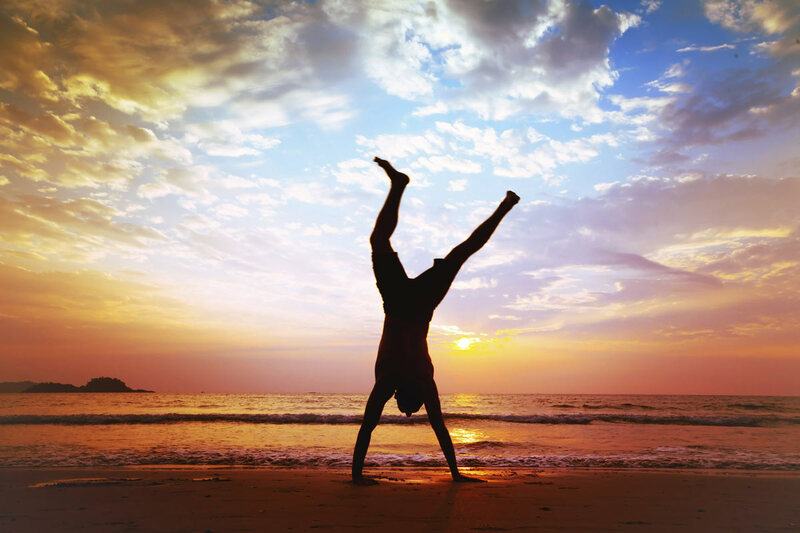 With a supply of the right nutrients, our bodies have an amazing ability to repair and self-balance. Exercise is so important to good health. Think about getting a balance between aerobic, strength and stretching exercises. But also make sure you’re not doing too much exercise. Fitness is a necessary component of health, but being fit doesn’t always mean you’re healthy. Allow adequate rest time, and listen to your body’s messages. These can make a huge difference to both our mental and physical well being. We all know how stress or emotional worries can affect our mood. But not everybody realises how much impact this can have on physical issues. It’s important to have some kind of activity that allows you to release those stresses. Many people find meditation of some kind to be very beneficial. And increasingly people are turning to EFT, as it allows you to target stress in very specific ways. EFT (Emotional Freedom Techniques) is a gentle, easy-to-learn way to deal with emotional pain, reduce anxiety and stress, relieve cravings or pain, and address long standing problems.